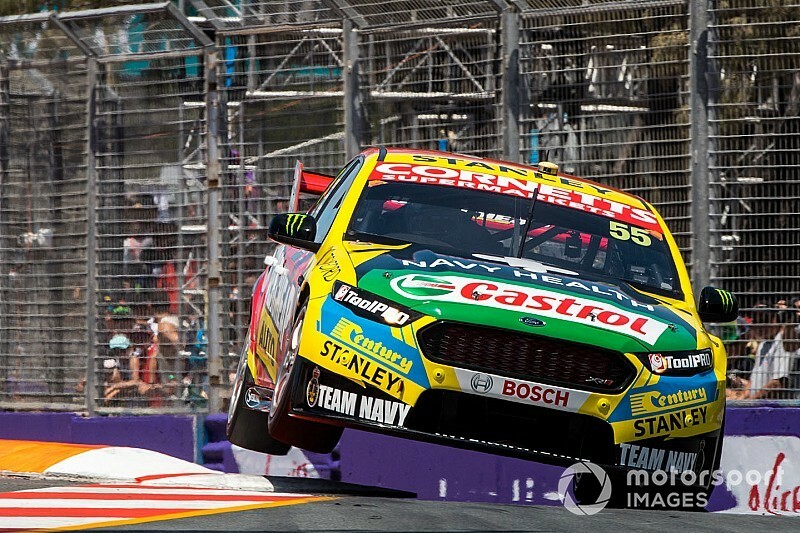 Chaz Mostert and James Moffat dominated the opening leg of the Gold Coast 600, while Scott McLaughlin inherited the Supercars points lead thanks to pit dramas for Shane van Gisbergen. The Tickford pair were unstoppable in the 300-kilometre opener, Moffat storming into the lead on Lap 36 before handing over to Mostert with a healthy lead. From there Mostert was able to cruise to his and Tickford's first race win of what's been a difficult season, ahead of Craig Lowndes/Steve Richards and James Courtney/Jack Perkins. 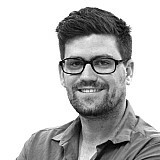 “James drove the wheels off it and gave it back in a good position," said Mostert. "I just tried to manage the gap and look after the car. Despite finishing just fifth it proved to be a productive afternoon for McLaughlin as well, the Penske Ford driver taking over the points lead thanks to Shane van Gisbergen's car being slapped with a drive-through penalty for an unsafe pit release early in the race. That came as part of a double whammy for Triple Eight, the then-race-leading #1 Red Bull Holden also penalised for an unsafe release during the same round of stops. It was McLaughlin's co-driver Alex Premat who got the best of the start from pole, but the Frenchman had mirrors full of Paul Dumbrell from the word go. It didn't take Dumbrell long to act, either, jamming the #1 Red Bull Holden up the inside of the Penske Ford on the run to Turn 12 on the second lap. Premat initially left room, before making a late attempt to close the door. The pair clashed, Dumbrell streaking into the lead as the Shell Falcon bounced harmlessly off the outside wall and dropped back to fifth. The issue was investigated on the spot by stewards, who quickly deemed there would be no further action. That left Dumbrell leading Tony D'Alberto across the first stint, which was brought to an abrupt end when Erebus driver Will Brown crashed heavily on the way out of the first chicane on Lap 23. 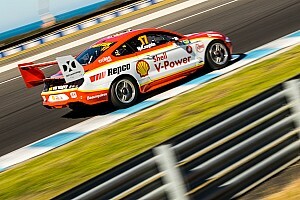 The resulting Safety Car sparked an all-in round of stops, which swung the race back in favour of DJR Team Penske. 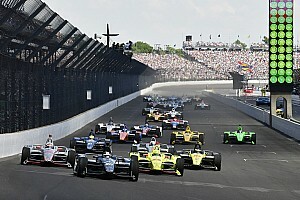 The Penske crew opted to short-fill D'Alberto, meaning he was clear of the box by the time Premat rolled in behind him. Triple Eight, however, got it all wrong. Taking on more fuel, Dumbrell occupied the box long enough to leave Earl Bamber waiting in the lane. And when the team did get Dumbrell moving again, they released him directly into the side of James Moffat in the Tickford Ford. To make matters worse, Bamber was then fed back into the lane right in front of Garry Jacobson's Nissan. 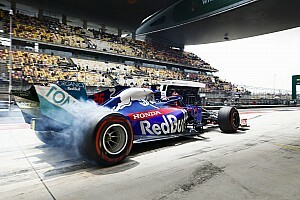 Unsurprisingly, both Red Bull Holdens were swiftly slapped with drive-through penalties that let them both just outside the Top 20. After the Lap 28 restart it was D'Alberto leading Moffat, before the pair swapped places eight laps later as D'Alberto seemed to roll out of the throttle on the main straight. As the race neared its midway point Moffat started to quickly build on what had been a small margin over the chasing pack. He would end up more than eight seconds down the road by the time he pitted to hand over to Mostert on Lap 62. At the back end of the second stint there was spirited battle for second between D'Alberto, Luke Youlden, and Premat. But it was the car sitting fifth, Steve Richards in the #888 Holden, that was the real surprise given it had started the race way back in 21st. 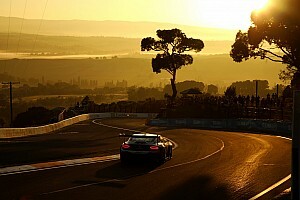 The key was the decision to start Craig Lowndes against a field of co-drivers, the veteran charging through the field before handing over to Richards. Things got even better for the #888 entry during the second round of stops. Jumping back in the car, Lowndes emerged ahead of David Reynolds and McLaughlin, and only behind leader Mostert and an undercutting James Courtney. 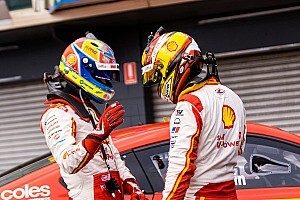 While Courtney – who took over from sixth-placed co-driver Jack Perkins on Lap 57 – and Lowndes were the winners of the final stops, the loser was Fabian Coulthard. Having replaced D'Alberto on Lap 56, he found himself at the back of the Top 10 for the final stint and out of contention for the podium. There was no stopping Mostert from there, but there was an intriguing battle over second place as Lowndes made a big play to get by Courtney with 20 laps to go. The pair even traded paint at Turn 12 a couple of times, before Lowndes decided to hold back and let Courtney run out of tyre life. It worked perfectly, Lowndes able to barge past the #25 Holden for second with five laps to go. Reynolds almost got through as well, Courtney having to work hard to hang on to the final spot on the podium. Van Gisbergen was the best of the recovering Red Bulls, a late charge leaving him 10th. Whincup didn't quite make the same headway, only getting as far as 14th. While impressive over the final 10 laps, van Gisbergen couldn't quite do enough to hang onto the series lead. That now belongs to McLaughlin, who has a 14-point advantage.